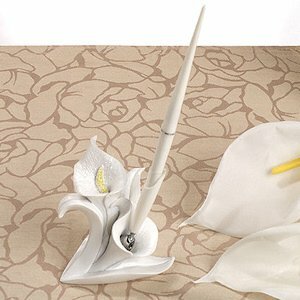 A sparkling pair of calla lilies form the base of this charming pen set. Continue the fresh calla lily theme through to your registration table. Also included in the set is a white pen with swivel holder inside one of the flowers in the base. The set stands 8" high and is packaged in a plain gift box. 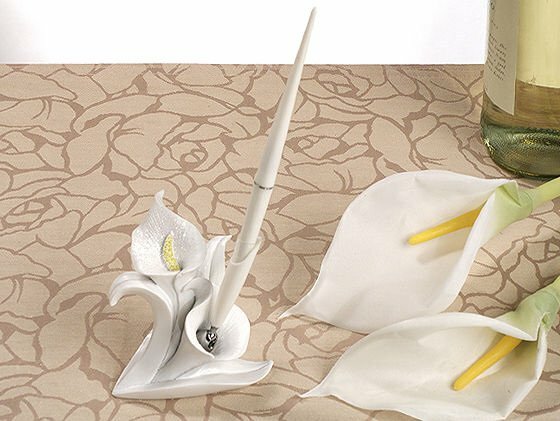 Consider giving this classic calla lily pen set as a gift to the bride and groom as a shower gift.